Resignation in-lieu-of termination isn't as bad as it might seem. Few people want to proudly write "terminated" on a job application. There's nothing wrong with being fired, and it happens to a lot of people, especially when the economy spirals downward. But when you're filling out employment applications, being able to put "resigned" as the reason why you left your previous job will make life a lot easier. That said, if you're offered the option to resign in-lieu-of being fired, ask your employer for at least 24 hours to respond to the offer. When you resign, you're making a career choice in that you decided that you no longer want to work for the company. There are a couple of ways you can resign: give at least two weeks' advance notice or exercise your full rights under the employment-at-will doctrine. 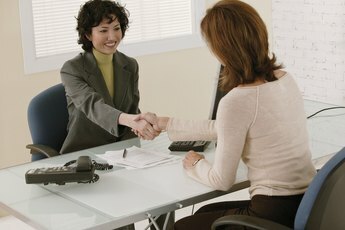 If you tender a written resignation and intend to give two weeks' notice, meet with your boss or the human resources department, hand over your letter and say a few parting words, such as: "I've enjoyed working for the company, but I've decided to take my career in another direction." Under the employment-at-will doctrine, you have just as much right as the employer to end the working relationship at any time, for any reason or no reason, with or without notice. This means, you can simply say to your boss, "I quit," and nothing more. 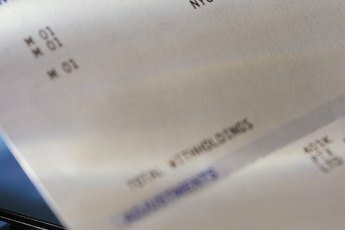 Just know that some employers will try to make this difficult by imposing penalties on employment-at-will quitters, such as forfeiture of vacation time, rehire ineligibility or full statutory time limit in the company taking its time to process a final paycheck instead of simply issuing it right away. And if the state law permits those kinds of restrictions, it's the price you might have to pay for walking off the job. If your employer decides to fire you, don't assume that you have no power to negotiate the terms of your dismissal. A resignation in-lieu-of termination is an option that has its pros and cons, depending on whether you'll use this job as a reference, if you intend to file for unemployment benefits and if you have any plans to ask for your job back later down the road. Resignation in-lieu-of termination is the same as quitting your job, but the ramifications may be different than if it was your own idea to quit. This type of resignation generally means that it was your employer's idea to let you go and that the company is giving you a chance to protect your professional reputation by allowing you to quit instead. If the employer initiates the resignation in-lieu-of termination option, ask what the company's justification is for wanting to let you go. It could be anything from performance to attendance to the company just doesn't have enough business demand to justify keeping you employed. In that case, take motivational speaker Les Brown's advice: “Shoot for the moon. Even if you miss, you'll land among the stars.” Ask what type of severance is available to you. You might not be entitled to severance, but you won't know unless you ask, especially if the company just can't afford to keep you as an employee. You can save the company money by signing a severance agreement and have enough to keep you afloat until your next job. And your employment record might reflect "resigned" or "job eliminated." Either way, you don't have to worry that you have to admit that your employer fired you. The thing about "resignation in-lieu-of notice" is that it usually happens when you initiate the resignation and your boss says, "That's fine, but you don't have to work out your last two weeks." In that case, you might think you've been fired. But it's the company's response to you ending the working relationship. In a situation involving resignation in-lieu-of notice, you should respond with, "You're accepting my resignation, but instead of working out my last two weeks here, I will be compensated for the two weeks, correct?" If you agree to resignation in-lieu-of termination, you could be forfeiting even the slightest chance that you are eligible for unemployment benefits. Before you agree to this, confirm that your employer will not protest your application for unemployment benefits. In some jurisdictions, an involuntary resignation doesn't prohibit the state awarding you unemployment benefits, according to Lyndhurst, New Jersey-based law firm Scarinci Hollenbeck. On the other hand, if you accept the termination and it's not a termination based on gross misconduct, you'll probably have a better chance at receiving unemployment benefits. When Is It Too Early to Let an Employer Know You're Leaving? Can Employers Discriminate Against People Who File for Unemployment?